Who’s checking in, and where are they checking in from? 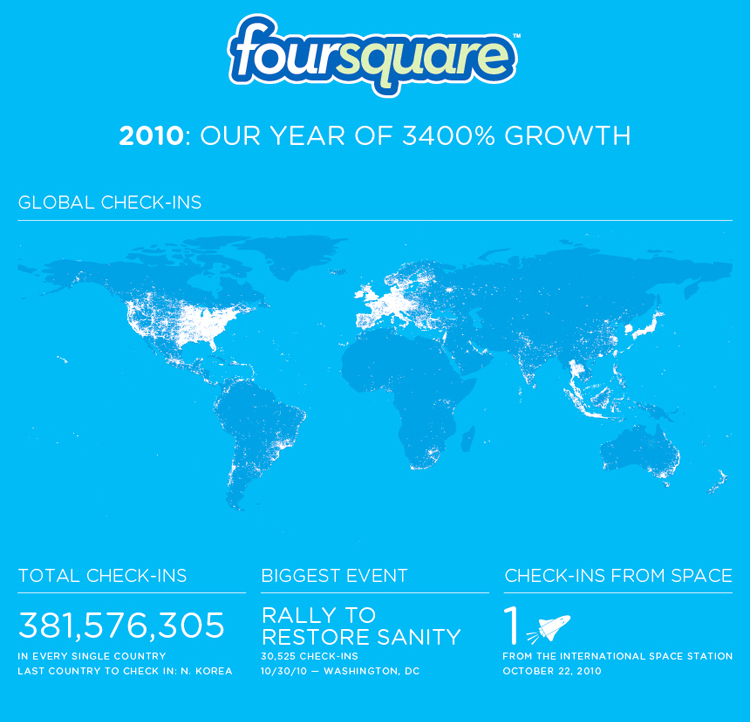 It’s been a wild year for Foursquare: A couple years ago, they were nothing more than a odd fad among certain tech-obsessed urbanites. Did you ever think people would get kicks from checking in to locations using their smartphones, the human equivalent of dogs peeing on lampposts? Maybe we’re not so different than neighbhorhood mutts checking their pee-mail. We’re social creatures. Thus the Foursquare ‘splosion. 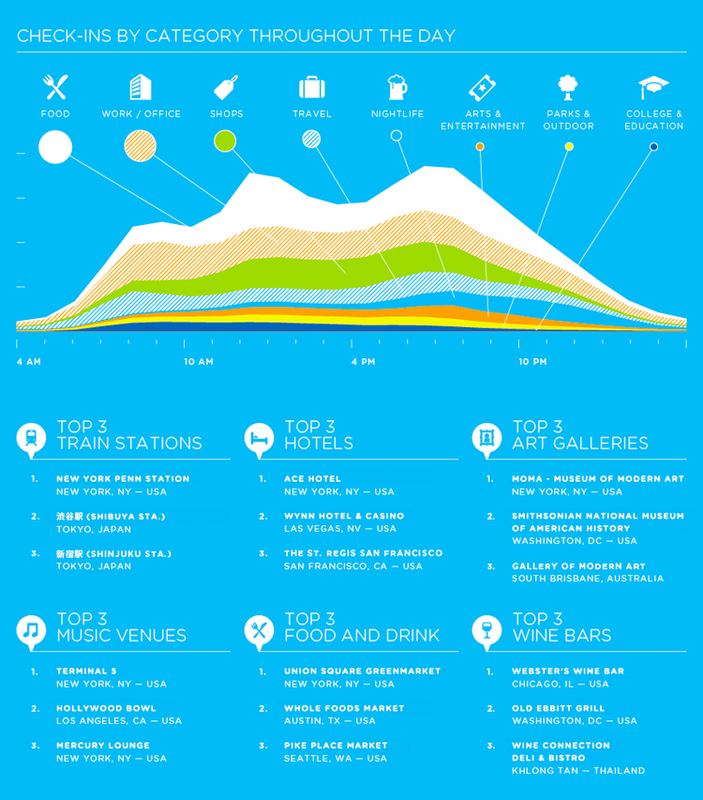 As you can see, Foursquare is largely a recreational activity, with check-ins peaking at the prime happy hour times. 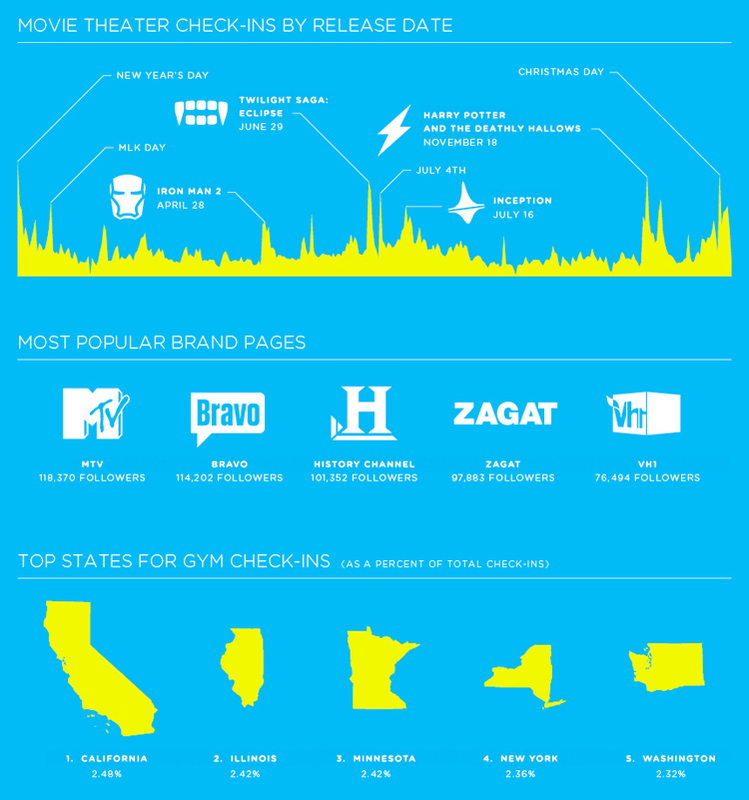 But it’s not just about nightlife — and in fact, two of the largest chunks of Foursquare check-ins are food and shopping. Looking at those lists of top Foursquare check-in spots, you can see that it seems to be a pretty lust worthy demographic for advertisers and businesses: We’re talking about places that attract young, spendy types such as the Ace Hotel in New York and the St. Regis in San Francisco. In fact, combine all those data points and you really do get the picture of a tech savvy, organic-food obsessed, Broken Social Scene-listening, wine swilling urban sophisticate, debating the finer points of denim selvedge, Anselm Kiefer, and Steve Jobs’s succession plans.